The V4 recreates a musical event on a scale and with a solidity, roundness, and three-dimensionality matched by few and surpassed by no other amplifiers, with sensational dynamic-range to boot.” Paul Seydor – The Absolute Sound, October 2002. “Connecting the Quicksilver Audio V4s quickly revealed that these were very good sounding amps indeed. Space, delicacy, transparency, and overall musical believably were of high order.” Bascom King – Audio, February 1998. Powerful, musical, and effortless–this is the sound of the V4. As with all Quicksilver’s amplifiers, the V4s are all tube and hand wired point-to-point. 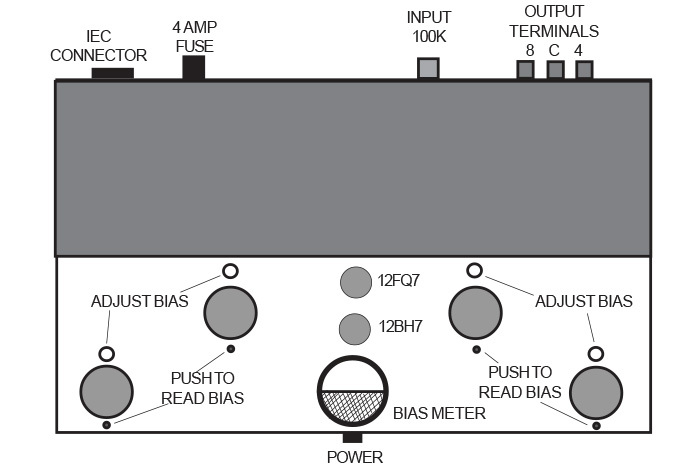 A bias meter is mounted in the chassis and individual controls allow each output tube to be biased separately. The amplifiers come with KT150s, but EL34s, 6550s, or KT88s can also be used. Matched quads will work best but are not necessary. The low screen voltage on the output tubes (300 volts) makes them last for thousands of hours of “on” time. 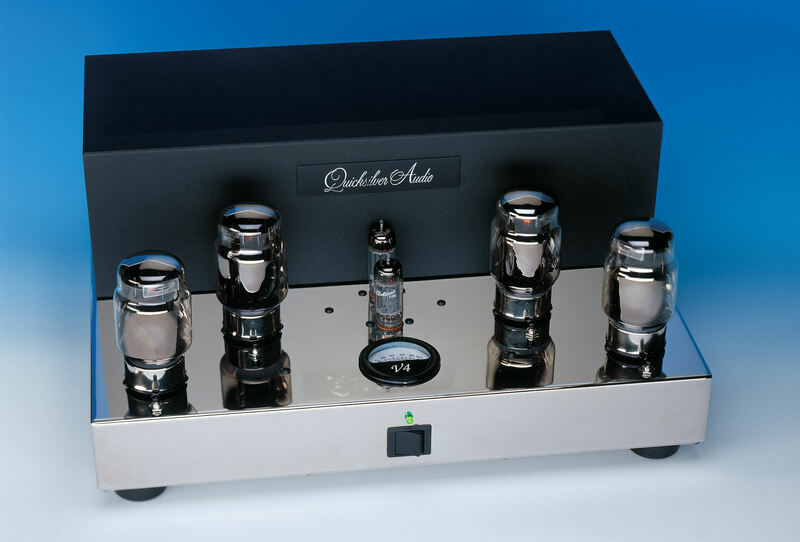 The output stage has a separate power supply so that even maximum power levels will not diminish the sound quality. A new output transformer coupled with KT150s increases the V4 power to 170 watts into 4 or 8 ohms. Price $6495/pair with Tungsol KT150s. Price for balanced add $900/pair.